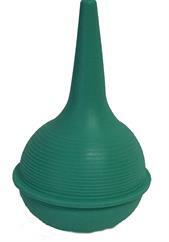 The Nasal Aspirator is used to clear mucus from the nasal passages of a newborn foal when necessary. This simple one handed design produces a gentle suction that is comfortable for the foal and effective. This product is easy to clean and disinfect for subsequent uses.